An innovative packaging idea from one of my favourite packaging studio Tridimage. This project improves that there is an always new idea to catch it! Keep up the great work guys! 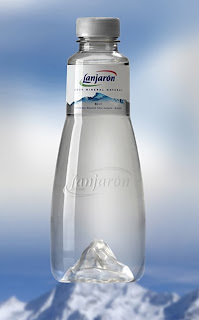 The new Lanjaron Mineral Water package design is the result of a strategic collaboration between two Argentine package design firms: Tridimage (structural design) and Grupo Berro The sleek, clear, grooveless shape of the bottle magnifies the Mulhacén mountain (Sierra Nevada, Spain) arising from its base, conveying the sense of purity and natural origin of the brand in a single powerful message. As this new design was aimed at competing in the premium arena, a high level of sophistication was an absolute must. Hence, the minimal label area maximizes the transparence of the bottle and the graphic design crowns this “waterdrop” with a clean, stylish, white and silver palette. This development implied stretching the possibilities of current PET blow-molding technology. 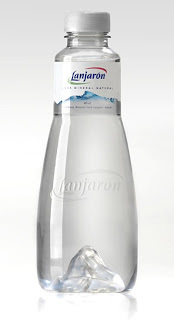 (graphic design) to develop an exclusive mineral water bottle for the Spanish market. The premium 40cl PET bottle is targeted to the premium restaurant & hotel segment mostly populated by traditional glass bottles and graphics. Same mountain/ice glacier in the bottom, but much older. This is a perfect bottle for me, I need one when I go out jogging, are there any problems if I bring that along with me? Just wondering. I read your post . it was amazing.Your thought process is wonderful.The way you tell about things is awesome. They are inspiring and helpful.Thanks for sharing your information and views. This bottle designed for smart people. Nice design. I like this blog. Thanks for the informative blog. 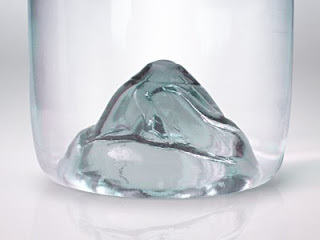 I will visit again for your next informative blog, keep up the good work.Check out this energy saving pet bottle perform mold which is in great demand and it's a top hot seller.